Find the latest Highlands Cove real estate listings and building lots just below. 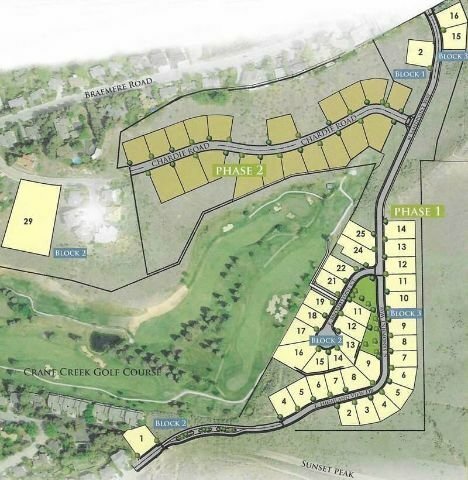 North Boise's Highlands Cove custom home community is nestled in the Foothills, encompassing the East portion of the Crane Creek Golf Course. This secluded neighborhood offers exceptional privacy and accessibility in the heart of the Treasure Valley. Surrounded by lush landscapes, homeowners are just moments to downtown, Ridge to Rivers trail system, Boise River and Greenbelt pathways. A future community walking path will connect residents to the Highlands Trails. Learn more about Highlands Cove real estate. Search all new homes in Boise or browse our new Boise subdivisions research guide and find the ideal neighborhood for you. Homesites: 54.4-acre development offering 57 building lots ranging in size from 0.20 acres (8,712 Sq. Ft.) up to 1.54 acres (67,082 Sq. Ft.). Head North on Bogus Basin Rd. Turn right (south) on Curling Dr then left Braemere Rd, Boise, ID 83702. Contact us today to learn more Highlands Cove and find the perfect Boise home or building lot to fit your lifestyle - (208) 391-4466.